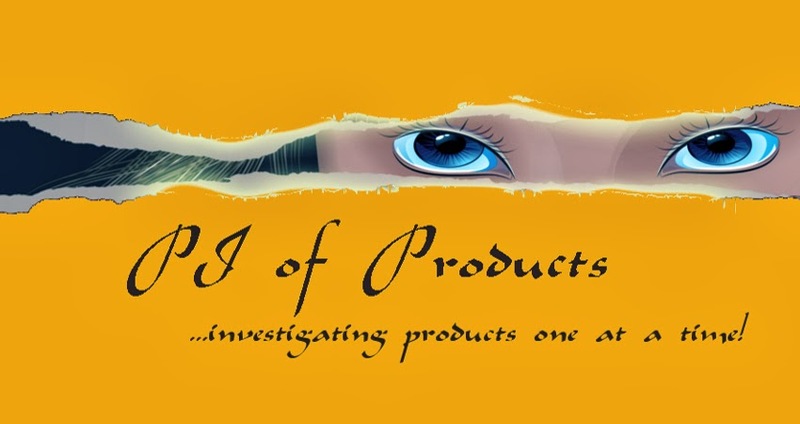 PI of Products: 2013 Gift Guide Event #10 - Cool-jams Review/Giveaway! 2013 Gift Guide Event #10 - Cool-jams Review/Giveaway! How are you doing today? We are doing great. How was your Thanksgiving? We had a great time with family, friends and a lot of food! Today I have another product to include our 2013 gift guide event. 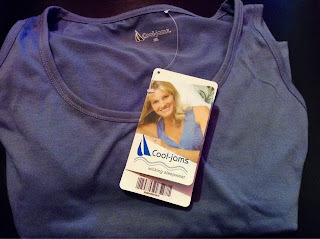 Cool-jams sent me a long tank nightgown in Periwinkle Blue. This is not just an ordinary nightgown, it's made with a wicking fabric! And isn't the color pretty? We think so. "Cool-jams sleek long tank nightgown features cool sleeveless scoop neck styling. Our quick drying, silky soft, moisture wicking fabric is perfect for travel or hot nights. Every Cool-jams garment has a super soft cotton like feel with wicking ability that never washes out. In fact, the wicking action is scientifically woven into the fabric itself." My mom is going to love her new nightgown! My dad likes having the room warm, while she prefers it cool. Cool-jams to the rescue! The fabric that the long tank nightgown is made of is so soft and cozy. Cool-jams are awesome. They would make a great gift! Make sure you go check out their website. 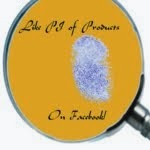 You can also Like them on Facebook, and Follow them on Twitter to stay up-to-date with their latest news and products! 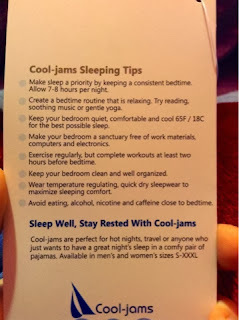 Cool-jams is going to give 1 of my Agents a $50 Credit! Make sure you enter below! Cool-jams Would Make A #1 Gift! I received no monetary compensation for this review and giveaway. I did receive product for review purposes only. All thoughts and opinions are mine. All text in red is taken from the sponsors website. I would choose the men's wicking pajama set. WICKING KRISTI NIGHTSHIRT is the one I would choose in navy. I like the LADIES WICKING DRAWSTRING PANT. I would like to get click to get WICKING SONYA SNAP FRONT PAJAMA SET. I would like the WICKING KRISTI CAPRI SET. I get so hot and these would be a lifesaver! would love new pajama's that keep me cool!! Sounds like wicking pj's to me!!! I'd love to try the lace accent wicking robe. I like the MOISTURE WICKING GATHERED TANK NIGHTGOWN. I really like the 3-Piece Jillian Pajama Set. This would be very versatile - you could wear the long sleeves in winter and just wear the sleeveless top in the spring and summer. I'd probably try the Wicking Ladies Drawstring pants! I would either get something for me or my mom. I like the Moisture Wicking Long Sleeved TShirt. I like the Wicking robe. I'd get the MOISTURE WICKING LONG TANK NIGHTGOWN. I like the WICKING KRISTI NIGHTSHIRT in aqua.